Mark J. Schnuck graduated from Maryville University in 1980 with a bachelor’s degree in management and is a licensed real estate broker in the states of Missouri, Illinois and Kansas. After serving in a variety of positions at Schnuck Markets, Inc., Mark became senior real estate officer in 1989. 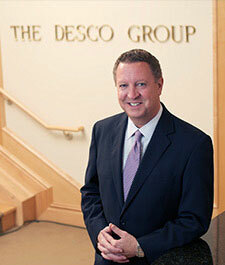 In 1993, Mark became president and CEO of the newly formed real estate company, The DESCO Group. He quickly succeeded in taking a corporate real estate department and turning it into a full-service commercial real estate development company. The DESCO Group still manages, leases and develops the Schnuck Markets portfolio, although the company has found success in many other aspects of the real estate industry. Mark led the company to the next level by venturing into other retail development, including non-grocery anchored shopping centers. Kirkwood Commons is one of most notable of these in the St. Louis metro area, but The DESCO Group has stepped outside the immediate area and is currently developing retail centers in Arizona, Missouri, Michigan, Florida and Illinois. In addition, the company is exploring opportunities in several other states throughout the country, including Colorado and Nebraska. After taking that successful step into other retail development, Mark led The DESCO Group in the giant task of tackling the redevelopment of the Old Post Office in downtown St. Louis. This development has been integral in the major redevelopment taking place throughout downtown St. Louis. The DESCO Group has partnered with the DFC Group in this redevelopment, which when complete in March, 2006, will be at the center of this flourishing area. This development is just one way that Mark has shown his commitment and dedication to St. Louis. In order to maximize the services The DESCO Group offers, Mark formed a sister-company, NAI DESCO. At this company, he leads a team of experienced commercial and industrial brokers in serving the City of St. Louis and 13 surrounding counties in Missouri and Illinois. The firm offers clients access to more than 3,000 NAI commercial brokers in more than 300 markets worldwide. In 2001, Mark formed DESCO Southwest in Tucson, Arizona, and added another office in Phoenix in 2003. Although this company is less than five years old, it has already been involved in several major development projects, including a mixed-use office and retail development, Stapley Corporate Center, and a unique office complex of nine free-standing buildings, Skyline Esplanade, in a highly desirable area at the base of the foothills in Tucson, Arizona. In addition, DESCO Southwest has been selected to spearhead the historic redevelopment component of the Phoenix Bioscience Center. Ever focused on his commitment to St. Louis, Mark belongs to numerous organizations and serves on several boards throughout the area. He is commissioner, and former chairman, with the St. Louis Zoological Park and former chairman of the St. Louis Zoo Board of Trustees. He serves on the boards of ​Community School and John Burroughs School. 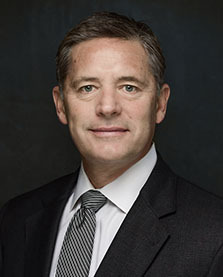 He is also involved with the Fair St. Louis Foundation and serves on the Salvation Army Advisory Board. In addition, Mark is a member of the International Council of Shopping Centers (ICSC), the St. Louis Association of Realtors (SLAR) and the Urban Land Institute (ULI). Scott Sachtleben identifies and implements KP Development’s strategic vision, initiatives, and real estate opportunities. He also oversees all of KP’s operations and partner relations. With Mr. Sachtleben, the KP organization is dedicated to providing certainty of delivery in quality, cost, and timing for its real estate and capital partners for successful, long-term relationships. Mr. Sachtleben has over thirty-five years of firsthand, day-to-day experience in the real estate industry, ranging from acquisitions, capital structure, entitlements/incentives, development, construction, joint ventures, and leasing. As a developer and principal, he has exceeded several billion dollars in real estate joint ventures, developments, and transactions. Prior to his role with KP Development, Mr. Sachtleben served as Senior Vice President of development for The Desco Group in St. Louis. He was instrumental in launching a national, multi-office platform advancing real estate development in retail, office, and industrial products. Previously, Mr. Sachtleben was a senior partner with the law firm Greensfelder in St. Louis, specializing in a broad practice of real estate development and finance. He earned a Bachelor of Arts in Economics, with Highest Honors, from Southern Illinois University in Carbondale, as well as a Juris Doctorate from Vanderbilt University in Nashville, Tennessee. Mr. Sachtleben serves on the Board of Directors of Reliance Bank and is an active member of a variety of civic organizations. He is also a member of the National Association of Industrial and Office Properties, the Society of Industrial and Office Realtors, the Urban Land Institute, and the International Council of Shopping Centers.